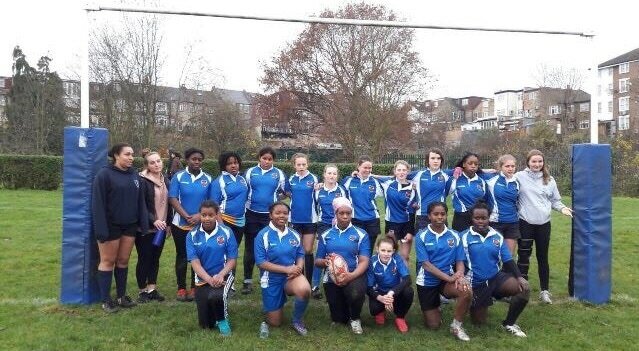 The Girls have been growing from strength to strength this season with over thirty new players coming to give rugby a try! We have three teams: U13, U15 and U18 and plenty of younger girls who play in the minis who we can't wait have come and join us. We play in tournaments and matches around London and train at Springhill Sports Ground, throughout the season which runs from September to April. We play Sundays, 10:00 – 12:00. Please see the rules here for U13s and here for U15s and U18s. ​All new players welcome - come and give us a try!